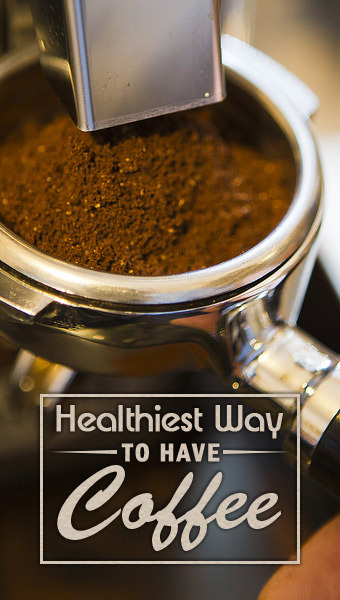 What's the Healthiest Way to Have Your Coffee? The effects of caffeine on our health for better or worse is a topic that is hotly debated and somewhat controversial. While many people still swear on their morning coffee to get them going, some are now saying that caffeine is only good for combating a caffeine withdrawal and that we’d actually be more alert and creative without it (1). But putting the effects of caffeine on our brain to one side for a moment, there’s also the matter of calories to consider. Caffeine is a stimulant, meaning that it increases our heartrate and causes us to burn more calories… but most coffees also contain a fair amount of milk, cream and sugar and are hardly great for dieting. If you’re hooked on your morning cup of Joe then this quite possibly isn’t going to be enough to dissuade you from enjoying your favorite brew. But perhaps it’s worth at least looking at how different types of coffee affect us so that we’re at least able to minimize the damage? Here then, we’ll look at the different types of coffee and how fattening each is. Espresso is a very strong shot of coffee normally enjoyed in very small cups and traditionally served as an ‘after meal’ drink. On the one hand, the espresso has no nutritional value, so it’s essentially empty calories. On the other though, there are only five of those calories, which makes this a good choice for anyone on a diet. It’s a quick and punchy and will wake you up without filing you with cream. Cappuccino is espresso plus a large amount of steamed milk. It also often involves chocolate sprinkles. In terms of weight loss, the combination of milk and chocolate means it’s not the ideal choice at around 150+ calories. On the other, there are worse places than milk to get your calories, which will at least provide you with some protein and calcium. Likewise though, there are also better places to get your milk – like oatmeal. Not unhealthy per-say, but not one for the body-conscious either! If you do want to treat yourself while keeping the calories down, then forgo the chocolate sprinkles. A latte is a cappuccino but with the emphasis skewed back heavily towards steamed milk and away from water – almost like a coffee milkshake. As you might imagine, the increase in milk correlates with an increase in calories (though you get more protein and calcium too) but at least there are no chocolate sprinkles. Another poor choice for those looking to lose weight, but otherwise it’s a good source of some nutrients. An americano is an espresso plus hot water and sometimes cream. Often americanos will include very large amounts of caffeine (up to twice as much) and like espressos they’re essentially free from calories unless you get the creamy version which contains half as much protein as milk but more calories. A macchiato is an espresso with a dash of steamed milk and can contain up to 90 calories. Like americanos these are also higher in caffeine than many other coffees. If you’re drinking a mocha then you’re essentially getting a desert. Mocha is an espresso plus milk, chocolate syrup and whipped cream. Sometimes you get marshmallows on top for good measure. These can contain upwards of 350 calories, so they’re not the ideal choice for losing weight and the negatives outweigh any nutritional benefits. To conclude then, the main sources of calories in coffee are milk, cream and chocolate/chocolate syrup. Drinking a black americano or espresso will mean you’re essentially getting your caffeine free from calories. If you get something with milk on the other hand, you’ll be getting calories, but from a relatively healthy source with added nutrients. Lastly, remember that you can order smaller sizes for your coffee and usually get the same amount of caffeine with fewer calories – a good option for dieters! How Long Does it Take to Become Flexible?